Week 29: Hello, Baby Shower Gifts! One of the facts of having children through gestational surrogacy is that you don’t get to see the day-to-day changes in a growing pregnancy belly. You don’t get to see or feel babies moving, and unfortunately we aren’t able to be a part of all the doctor visits, etc. But one way Matt and I are experiencing the growth and changes in the third trimester of our surrogate pregnancy is the growth and change in the number of gifts that have arrived for our twins in the past few weeks. 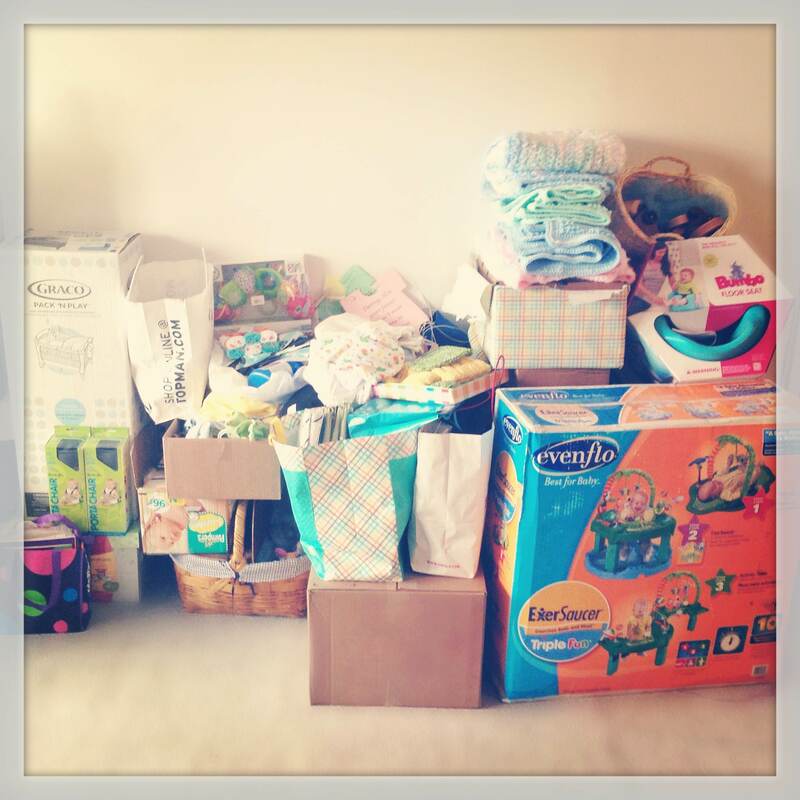 It started with a trickle–a few boxes here and there–and culminated in a full-on deluge of colorful, thoughtful, adorable presents at the baby shower our friends and family recently threw for us. Matt’s mom, Ellen, and several of our very good friends put together quite a team effort to pull off our baby shower, and it ended up being one of the most relaxed, fun, easy, celebratory afternoons I can remember. Everyone had champagne, people had a chance to talk and mingle and hang out, and we all got to toast to the pending arrival of our twins. 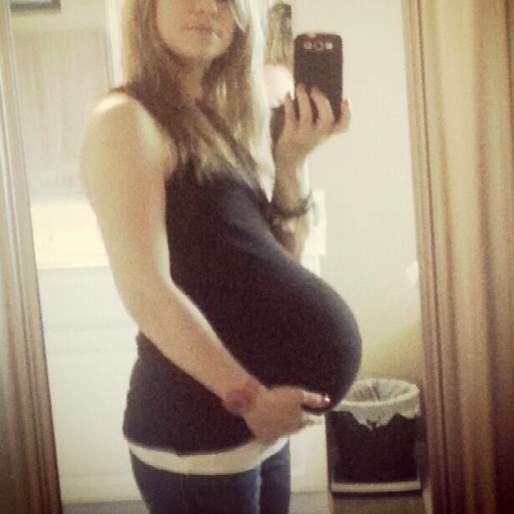 I was on Instagram today, looking at some of the photos posted under the #surrogacy hashtag, and saw this photo of a surrogate carrying twins at Week 26. I looked at that belly and wondered what our surrogate’s own belly must look like now at Week 29. We’re thinking about her and the babies today, and hoping everybody is comfortable and happy and in good health. We’re looking forward to the day, about six weeks from now, when we get to be with all of them. Hi Mandy and Brad! Yes, we would love to coordinate with you when we get to Mumbai. Thanks for reading the blog and good luck with the rest of your term!